Homes for sale in Waterways Township are part of a 2,300 acre community just south of historic Savannah, Georgia and 10 minutes from Richmond Hill. Developed by Fletcher Management Company, WaterWays Township is made up of charming, wellness oriented neighborhoods with a wide array of outdoor amenities. Designed for families of all ages, WaterWays offers homes with raised porches, deep verandahs and exposed rafter tails. 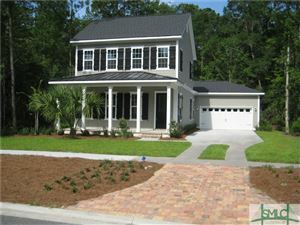 It is turning into one of the most exciting gated communities in Savannah GA according to realestatescorecard.com. Waterways Township has three main neighborhoods, each with different architecture and varying price ranges. The heavily wooded home sites at WaterWays Parkway South start at the $60k's while the homes at Long Creek begin in the $50k's. RidgeWood Park near the State Wildlife area has cottage-style homes from the low $200k's. WaterWays Township was designed with the land’s natural habitat in mind. With a mild climate and lush greenery, this area has some of the most breath taking exhibits of plant life in the Southeast. There are over 2,000 acres of state wildlife and six miles of coastal marshlands, The Red Bird WaterWay is also nearby, providing convenient access to Georgia's barrier islands and beaches. Whether it's fishing or canoeing, Waterways is an inexhaustible resource for family fun and community. There is the Bill Dance Signature Fishing Experience: lagoons abundant with fish that would bring a smile to any fisherman. 450 acres of preserved wide open spaces are available for recreational purposes as well as hammocks and oak trees canopied by Spanish moss. WaterClub West has a junior Olympic swimming pool. Hawk Island Boathouse gives easy access to the water. A screened pavilion offers a fireplace and catering kitchen. The Grand Lagoon has 3 miles of waterways. Trellis Park is an outdoor gathering place lit by Savannah style gas lanterns. Ridgewood Central Park is a safe playground and green space. A Gated entrance provides security and peace of mind. Waterways also has planned for development many more conveniences to enjoy life here like an 18 hole golf course, full service marina and swim & fitness club. The city of Richmond Hill is located approximately 11 miles from WaterWays Township. A quiet family community, Richmond Hill has excellent schools, a coastal location and a rich history to it. Being close to Savannah's commerce center also contributes to Richmond Hill’s reputation as a great place to live. Offering residents many options for local dining, shopping, recreational programs and business opportunities, Richmond Hill is a premier example of coastal living. Located at the crossroads of I-95 and Hwy 17. Richmond Hill is 30 minutes or less to Darien, Hinesville, Midway, Pooler or downtown Savannah. Within an hour’s drive, you can visit Brunswick, Hilton Head Island, Jekyll Island, Pembroke, Statesboro, St. Simons or Tybee Island. 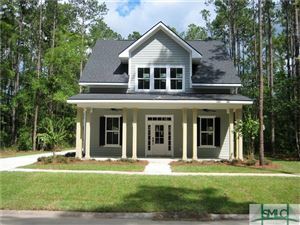 We hope that you will check out some of the homes for sale at WaterWays Township and find out why it has been named Community of the Year for 2014 and 2015 by the Home Builders Association of Greater Savannah. And feel free to contact us if you have any questions! The listing data was last updated 4/24/19 10:37 AM PDT.